Our goal is to provide the highest quality in-home, ambulatory EEG testing. To be treated with respect, courtesy and dignity. 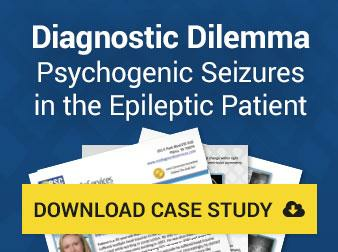 To receive understandable information regarding the seizure-related testing your physician has ordered for you in order for you to make informed decisions about your care. To personal privacy in all aspects of your care. To expect confidentiality of all records and communications about your care. RSC’s Notice of Privacy Practices describes how health information about you may be used and disclosed and how you can get access to this information. Please review it carefully, and if you have any questions about this notice, please contact the RSC Facility Privacy Official by emailing compliancehelp@rscdiagnosticservices.com or calling (877) 333-2575. If you choose to email us regarding any questions, please include the subject line "Attention: RSC Facility Privacy Official." Download a copy of our Privacy Practices here. You may complain to us or to the Department of Health and Human Services if you believe your privacy rights have been violated by us. You may file a complaint with us by notifying our Privacy Officer of your complaint. Please be aware we will not retaliate against you for filing a complaint. RSC wants to maintain a safe environment for our patients. We want to know if an unsafe condition exists. If during the course of your care and treatment you encounter a situation that poses a safety risk, we ask that you point it out to the clinical personnel responsible for your care. Your concerns will be carefully reviewed and addressed immediately, and an incident report will be forwarded to the RSC Quality Assurance Committee for further evaluation. If, after reporting the problem, you feel that the situation has not been adequately addressed, you may contact The Joint Commission via online electronic form, phone, e-mail, fax or U.S. Postal Service Mail. Tell The Joint Commission about your concern in one or two pages. Give them your name, address or e-mail address if you would like follow-up information sent to you.